Stores charge more for their spreadable butter than regular butter, and you actually get less butter for the increased cost. Make your own and save. Turn one cup of butter into two cups of spreadable butter! 2 sticks of butter, soften to room temperature. Using an electric mixer, mix 1/2 cup water, room temperature into the butter. Slowly mix in 1/2 cup of canola oil (or use 1/4 cup canola and 1/4 cup olive oil). Store butter mix into a plastic container with a lid and refrigerate. That’s it! Now you know how to make spreadable butter easily! This butter is spreadable right from the refrigerator. Use for a spread or on veggies & pasta. Because of the added water, it is not recommended to heat or cook with the spreadable butter. To easily remove pet hair, simply dampen rubber gloves with water and rub over the surface containing the pet hair. The pet hair tends to ball up and can easily be removed. Summer is here and with summer comes yard sale season. Selling your items and making $300, $400 or more is worth the little bit of effort. And after the sale, take all the remaining items to a donation location and write off the value of the donation on your taxes. To have a successful garage sale, you need people buying what you are selling! Pretty simple, right? I am sharing ways for you to learn how to have a successful garage sale and get the most out of your items and time! Readers: If you have any other tips, please share will us in the comment section below! Let’s learn from each other. 1) Try to make it a multi-family sale. Get more helpers & more incentive for buyers to stop by. 2) Baby & children’s clothes sell well (adult not so much). Hang clothing. It will sell quicker. And if it’s dirty, wash it. 3) Have the sale on Friday & Saturday. 4) Advertise the yard sale 1 hour later than you really plan. When the early birds come knocking,you will be prepared. However, I would start early, around 7AM. 5) Use free services to advertise. Why spend extra money? See links below. 6) Begin advertising on free sites days before the sale. 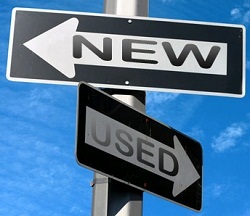 List a few of the great or unusual things you have for sale. Don’t list too much, just peak their curiosity. Stand out from the other sales. 7) Direct people to the sale using bright colored signs and colored arrows. Use one color; one color will direct a person easier. It’s easy to print a large arrow on 8½ x11 paper. Keep signs simple; remember people cannot read a sign well when driving! 8.) Put signs out the evening before the sale. It’s way too much to do the morning of the sale. 9) Be prepared! The day before the sale, sort your items. Place like items together and clearly mark the price (or know the price). Keep in mind some people will not ask about pricing if it isn’t marked. Hagglers will always haggle. 10) Get plenty of change and in all denominations. No sense in lowering a price because you do not have correct change. 11) If you are willing to negotiate, ask buyers to make you an offer! How bad do you want to get rid of it? Sentimental value will not increase the actual price someone will pay. 12) Consider having some water, sodas, lemonade, baked goods or candy for sale. It gives the kids something to sell. 13) Have a plan for your items after the sale concluded. Pre-schedule a non-profit to come by on Monday morning to pick up your remaining items. 14) Have fun! Play some music, enjoy meeting new people and above all make some money getting rid of things you really do not want or need. 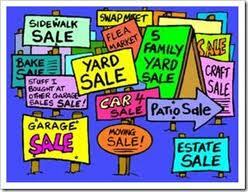 15) Remember to remove your signs after the sale. Garage Sale map – similar to MapQuest but shows garage sale locations. Remember Craigslist, for online free ad posting. Sometimes finding a deal on a new item isn’t as good as finding a deal on a “formally owned” a.k.a. pre-loved, secondhand, recycled, used-not-abused, previously loved or whatever you want to call it! Here is a list of some of the items that are well worth looking for on a resale basis. Let someone else take the depreciation and you get the benefit! Check out resale apps like Letgo, Facebook groups. These items can be found in clothing resale shops, consignment sales, Craigslist, freecycle.org or a good old fashioned garage sale! Resale cellphones can be found on Groupon and Apple. Want more ideas and tips for saving your hard earned cash? Like the Tip Resource facebook page were more tips and savings shared! When I am running close to the expiration date on milk in the refrigerator, I freeze some in ice cube trays. This saves me because I am not throwing it out and this frozen milk works beautifully in recipes! I’ll also save 1/2 c in snack size zip top bags, just for cooking. After the milk-cubes are frozen place them into a ziploc bag and label. Average cube is 1 ½ Tablespoons. 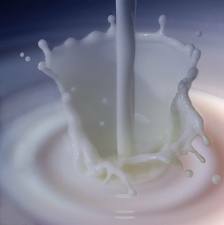 When it comes time to add milk to cooking or baking, thaw frozen milk-cubes and use like fresh milk. When the summer is hot and a milkshake is a perfect cool treat, add the frozen milk-ice-cubes to your homemade milk shakes. If you are suffering with a stuffy nose, try boiling a bit of sage in water. Breathe the warm moist air. It helps clear your nose and makes the house smell great too.